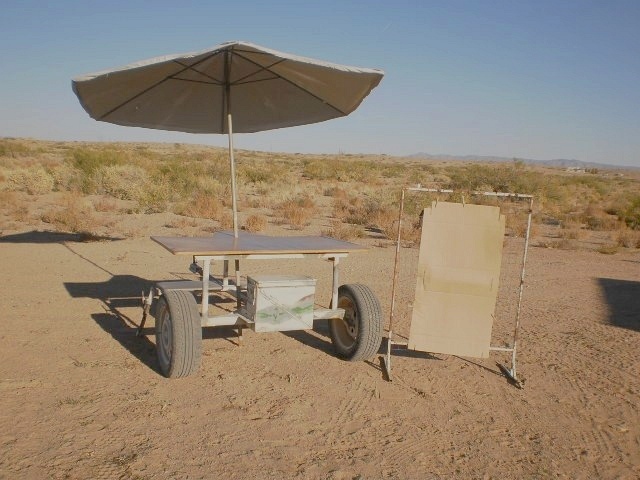 Photos by Stephen Fiorenzo, courtesy Applied Ballistics. 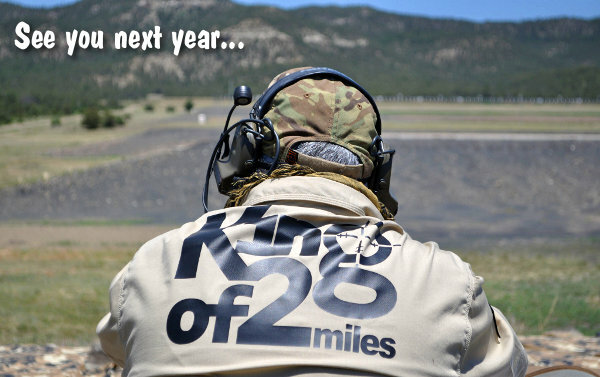 The 2017 King of 2 Miles match has concluded, and we have a new monarch. F-Class Ace Derek Rodgers is the new King of 2 Miles. 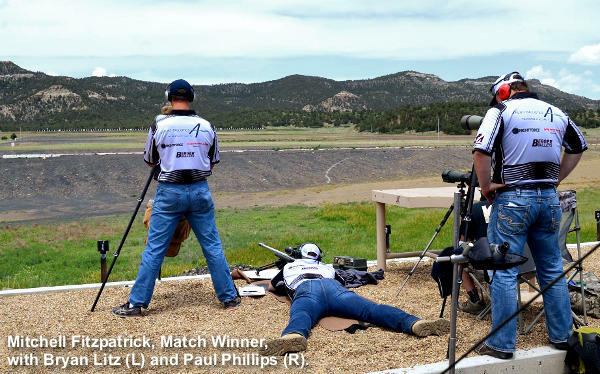 Shooting with Team Applied Ballistics, Derek delivered a dominant performance, scoring nearly twice as many points as his nearest rival, Ronnie Wright. 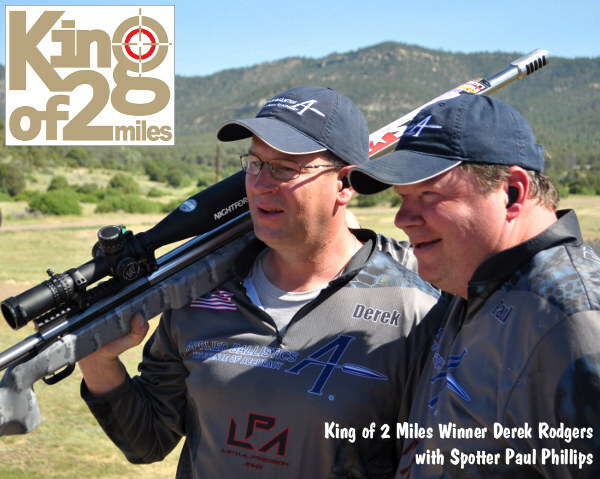 And Derek was the first KO2M marksman in history to hit the target at the maximum 3368-yard (1.91 mile) distance. 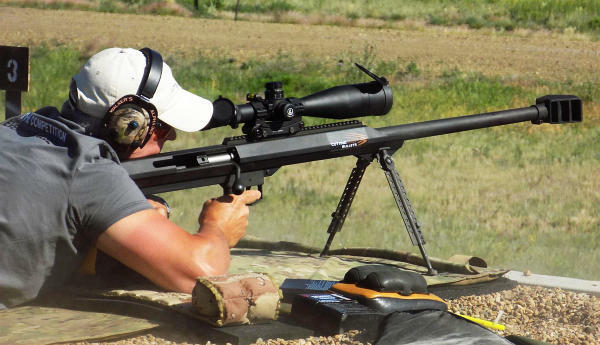 With his McMillan-stocked .375 CheyTac rifle, Derek shot brilliantly from the start. He was perfect — without a miss — at the first three yardages: 1543, 1722, and 1888. He had some misses at 1953 and 2667 yards, but then he out-shot all competitors at 3028 yards, going two for five. No other shooter managed a single hit at 3028 yards. 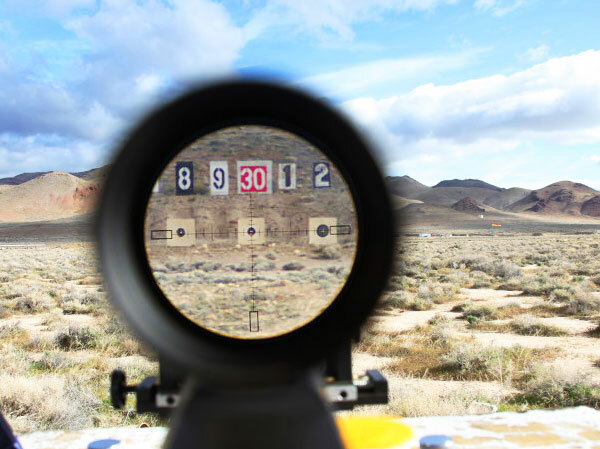 Then it all came down to the big one — the last (and greatest) challenge, the target at 3368 yards (1.91 miles). 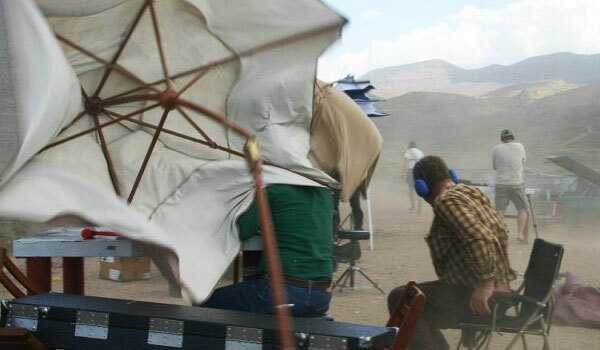 This would require superior shooting skills, a masterful wind call (by Emil Praslick), and nerves of steel. Derek tried four shots without success. 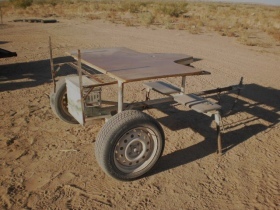 It looked like the two-mile hit would continue to be an impossible goal. But then, on his fifth and very last shot, Derek did it — he hit the 3368-yard target. 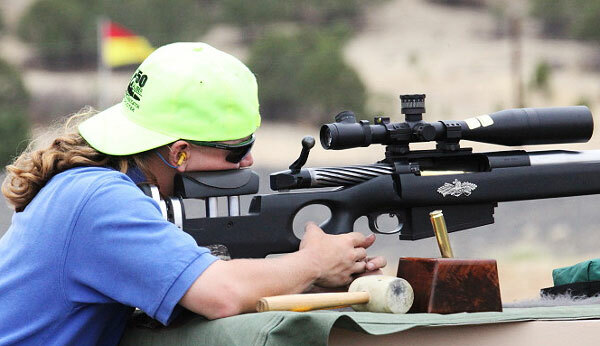 With so many full-custom rifles on the firing line, many were surprised to see a factory rifle finishing second overall. 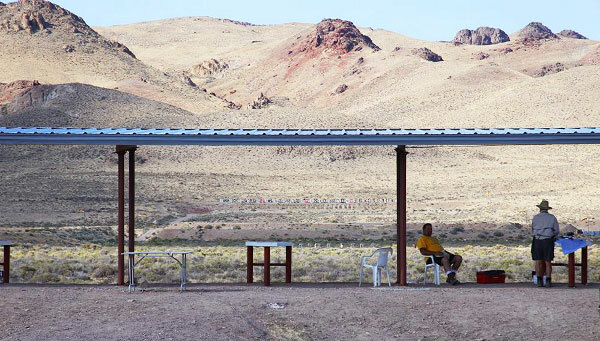 Ronnie Wright shot superbly with his stock Barrett M99 chambered in .416 Barrett. 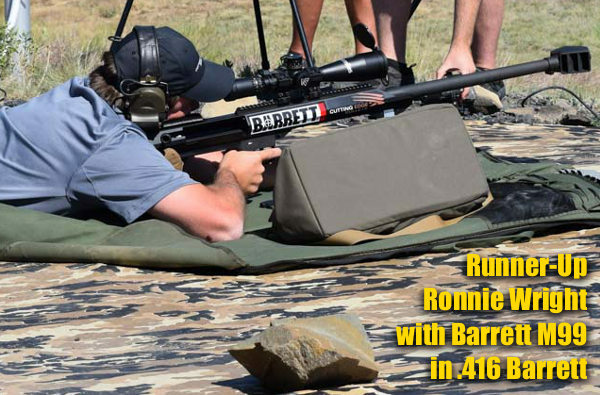 Ronnie’s impressive second-place performance proved the effectiveness of the .416 Barrett cartridge (and the build quality of the M99). For ammo, Ronnie used Cutting Edge 472gr MTAC projectiles loaded in Barrett-stamped .416 cases. The powder was Alliant Reloder 50 ignited by CCI #35 50 BMG primers. 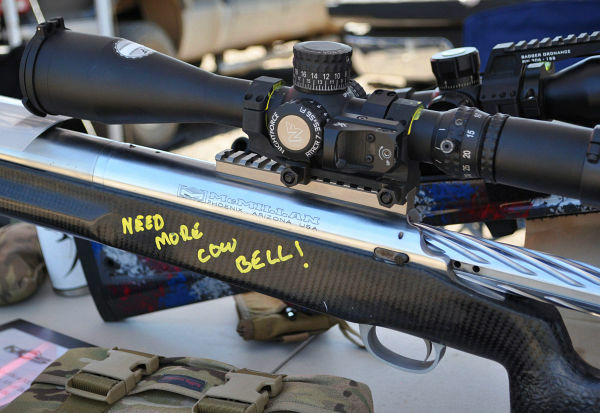 The rifle had a Barrett factory 32″ barrel fitted with an Accuracy 1st level. Q: What do you believe contributed to your success at this match? 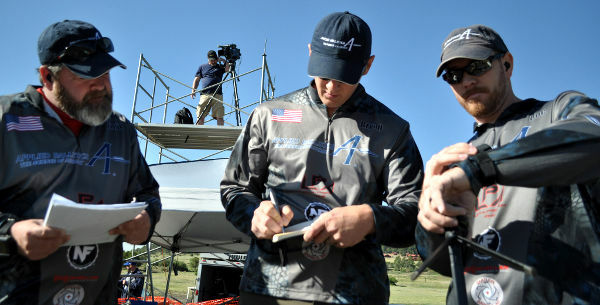 Derek: This match was truly a team effort from the entire Applied Ballistics Team. 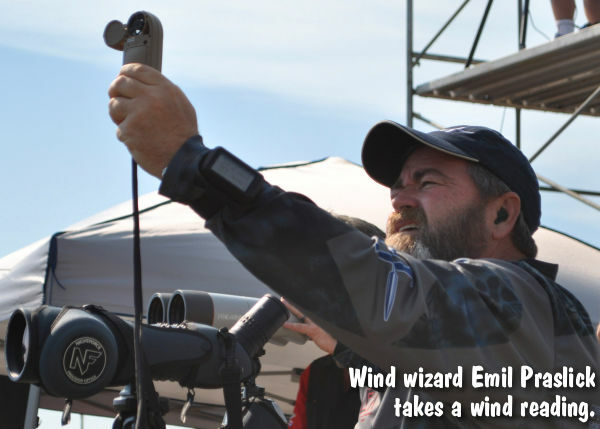 Emil Praslick and Paul Phillips are world class wind-readers and spotters. They have the ability to make decisive decisions and trust that I (as the shooter) will put a bullet on target every time a command is given. We posses a dynamic team background with a lot of history and experience under our belt. Our positive team synergy is hard to find. 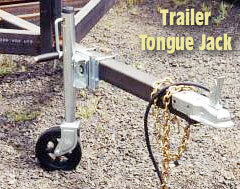 The addition of vital tools played a huge role in our success. A few of the tools we used were the AB Kestrel and Garmin Foretrex 701 AB Elite to give absolutely crucial and accurate ballistic solutions. 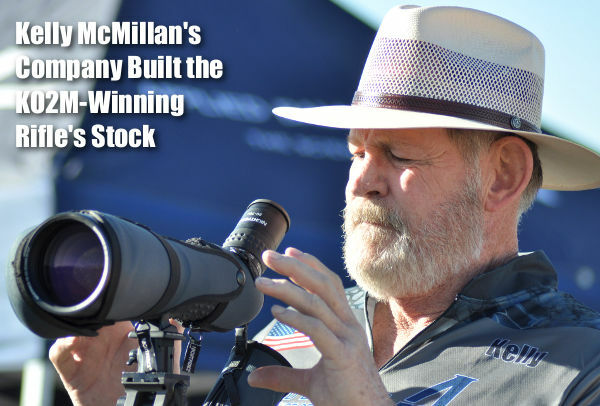 The new McMillan ELR Beast stock was stable and the NF ATACR scope is robust and clear. The Bartlein barrel used was top notch! However, one of the most important pieces of the ELR puzzle and the only thing that separates the target is — the bullet. 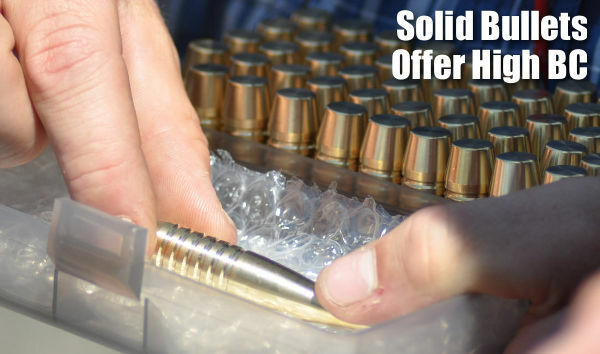 We chose Cutting Edge (CE) bullets due to their high level of precision. 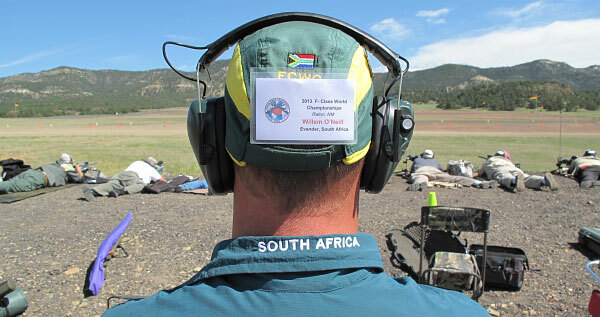 These bullets proved to be invaluable in connecting every piece of steel at the KO2M competition. 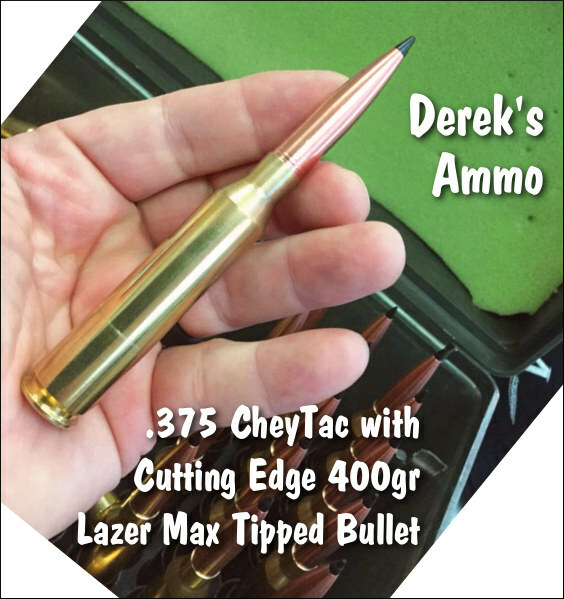 The CE 400gr Lazer Max bullet was selected and was tremendously accurate. 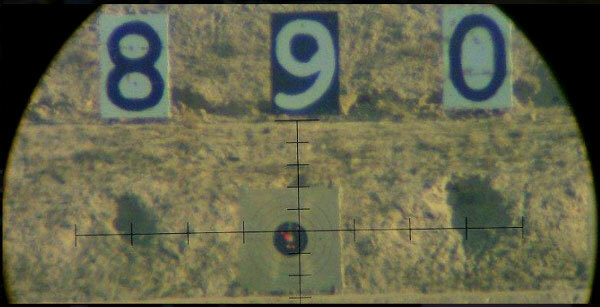 This bullet transitioned into a sub-sonic velocity without any loss of precision at ELR distances. Our success would not be possible if the projectile did not fly correctly for 7+ seconds of flight time. 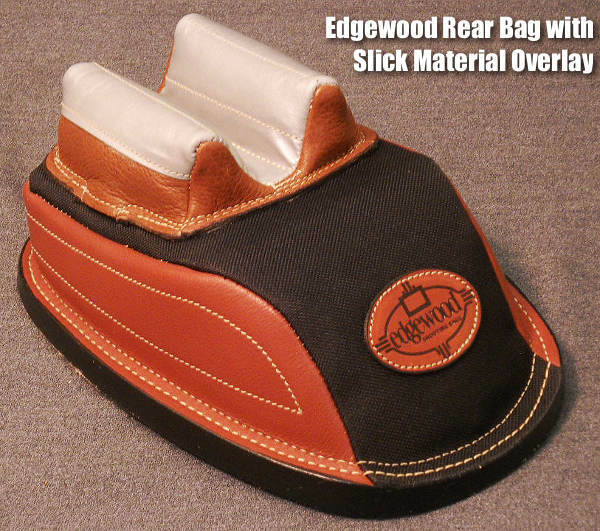 CE has outstanding designs and several quality choices to choose from. Q: How many hours would you say you practiced for this match? Derek: It is hard to calculate practice time in hours. ELR is a program that we work on every chance we get — day and night for months prior to the event. 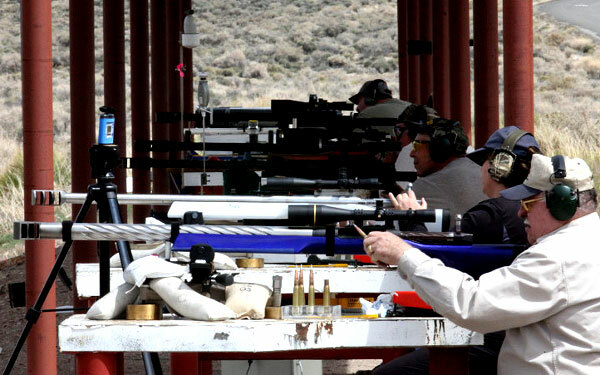 We have an extremely strong background of team shooting and long range shooting. 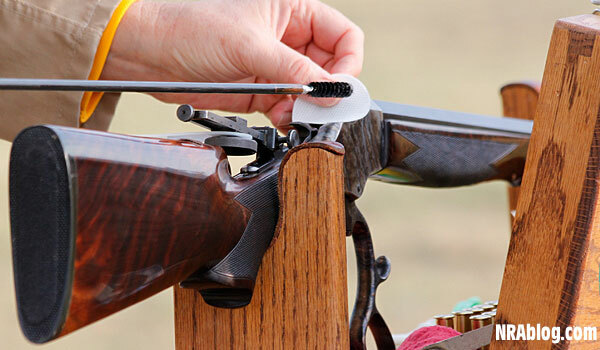 A lot of time has been invested on and off the range, but does not stop there. The combined range time from other disciplines really helped me to be successful in transitioning from long range to ELR. It really is a compilation of 10 years of trials and tribulations. Some would say, “the Devil is in the details”. Our team tries very hard to not overlook any small detail. Practice and training is always scrutinized for improvements. 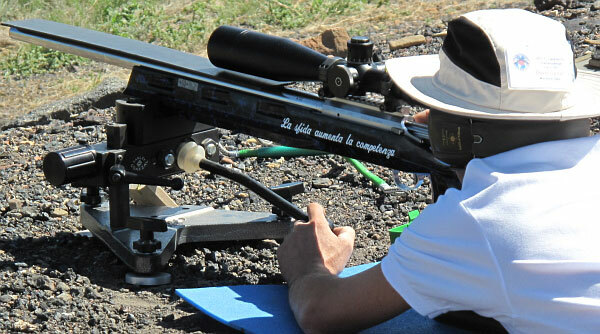 Our Applied Ballistics team has a love and passion that goes beyond measurable amounts of time. We were fortunate to get together for two days a month prior to the Ko2M event to review our program and practice as a team. Bryan Litz had a plan, and we discovered as a team we had flaws in our program. Each one of us contributed from years of experience on improving our technique until we had a winning solution. 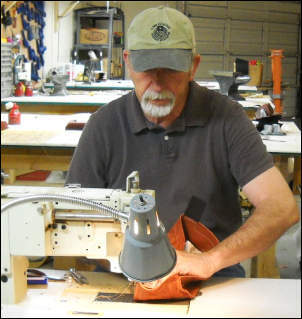 Derek: When I was asked to join the AB Team, I needed to get an ELR rifle built in a short period of time. 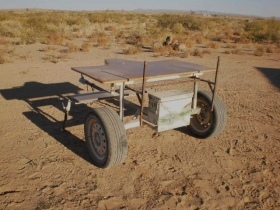 I was under a very tight time schedule to get the project complete. In an effort to eliminate variables, I decided to keep things standard and as simple as possible. I chose the .375 CheyTac for the ease of getting components. The larger rifles are more difficult to get components quickly and I felt like the .375 CheyTac had enough attributes to be competitive at ELR distances. The Cutting Edge 400gr bullets are milled from solid copper bar stock on a CNC Swiss-style lathe. 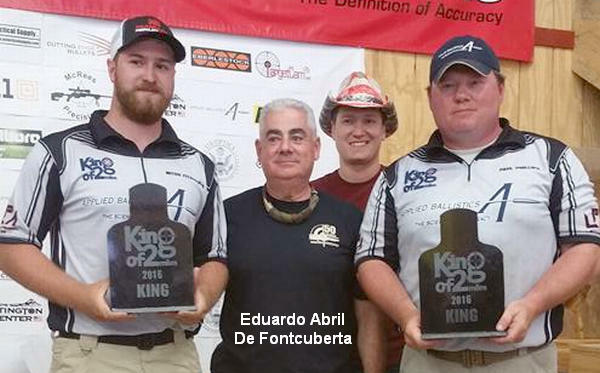 This marks the second straight year that Team Applied Ballistics has won the K02M event. 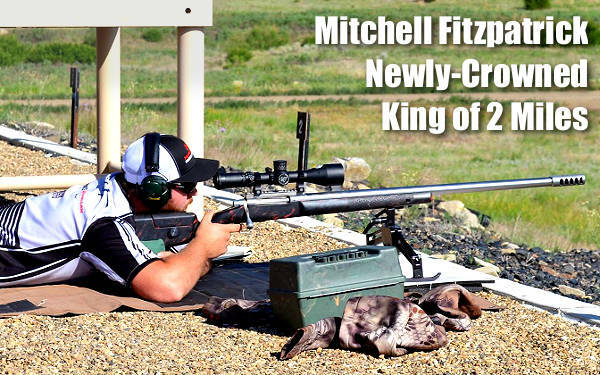 Last year, Team AB shooter Mitchell Fitzpatrick won the coveted “King of 2 Miles” title (Fitzpatrick finished fourth this year, just off the podium). 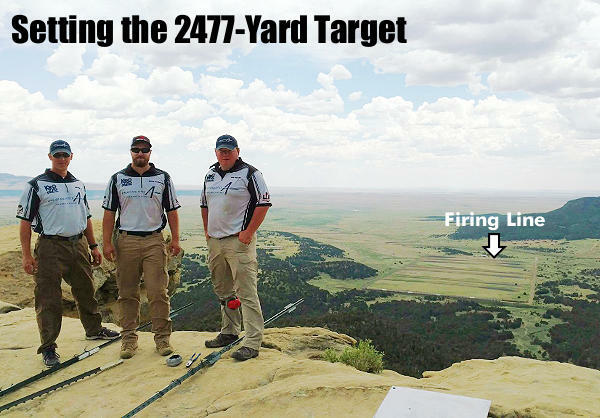 In the past year, there has been considerable evolution in Extreme Long Range hardware and software, and projectiles are constantly being improved. 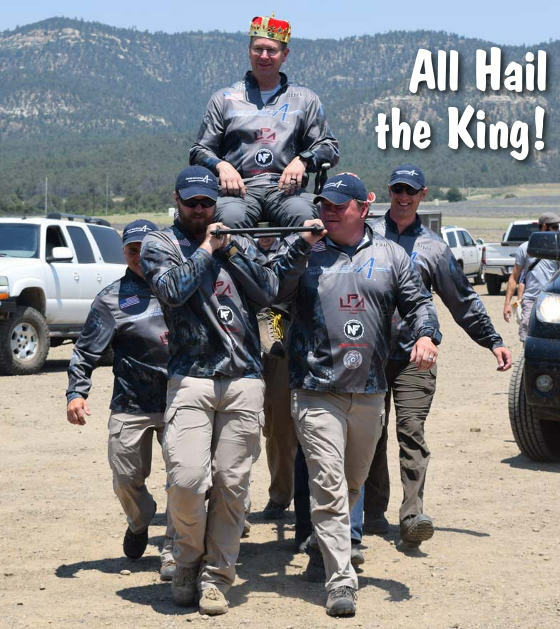 Share the post "King of 2 Miles ELR Match — Derek Rodgers Takes the Crown"
If you’ve never visited the NRA Whittington Center outside Raton, New Mexico, it is well worth a visit. 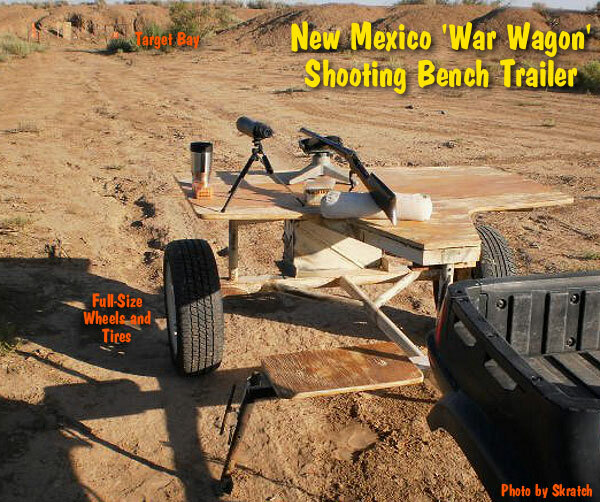 This new HD video shows the features of this unique facility where marksmen can shoot from 10 yards to two miles. 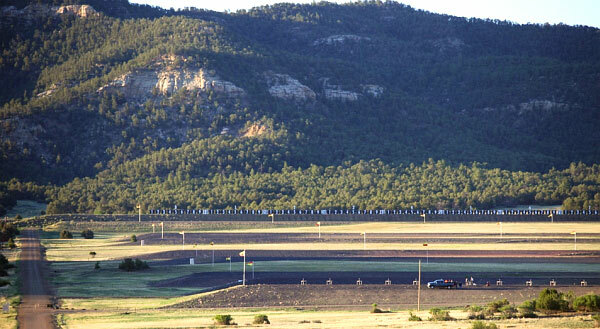 Drone video footage gives you a “birds eye view” of the scenery and the ranges. The Whittington Center hosts many major matches each year. 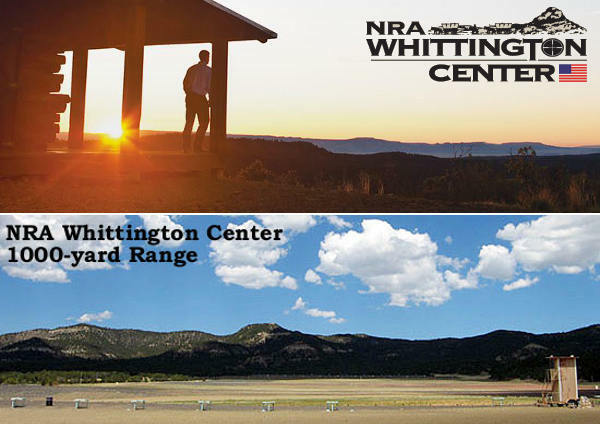 Along with the training and range facilities, the Whittington Center has comfortable, modern cabins and RV camping zones for extended stays. 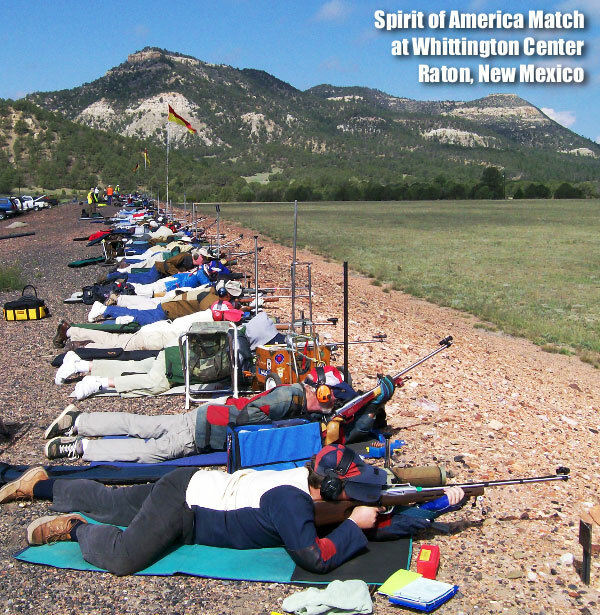 Founded in 1973, the Center offers ranges for every kind of shooting discipline, along with a shotgun center, firearms museum, specialized firearms training, guided and unguided hunts, plus an adventure camp for younger shooters. Share the post "NRA Whittington Center Video — What a Place to Shoot…"
Next week the NRA Black Powder Target Rifle Championship will be held at the Whittington Center in Raton, NM. 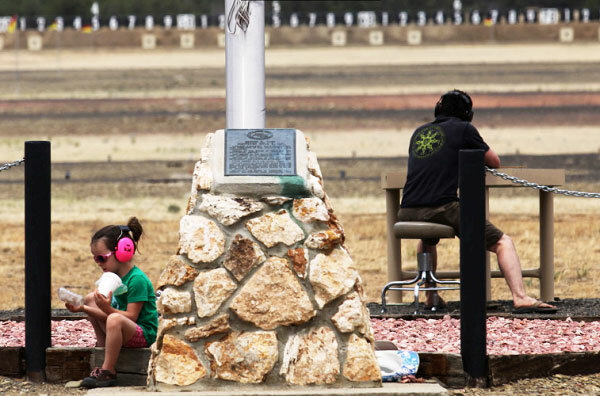 From July 19-24, top Black Powder Cartridge Rifle (BPCR) shooters from around the country will test their skills during a week-long event with targets set from 200 to 1000 yards. 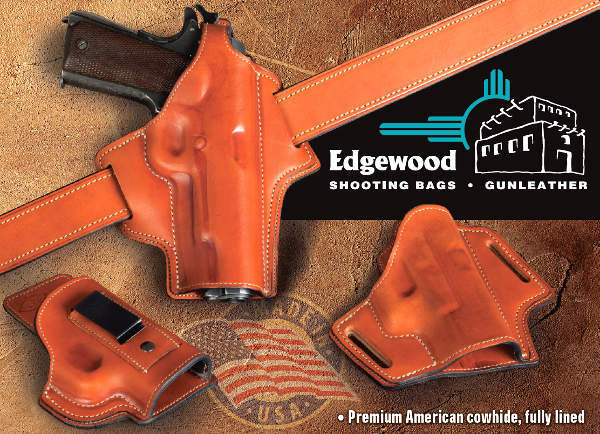 On the firing line you’ll see many handsome, custom-built BPCRs (Sharps, Ballards, Browning High Walls, Rolling Blocks) with exquisite wood, hand-checkering, and color-case-hardened receivers. 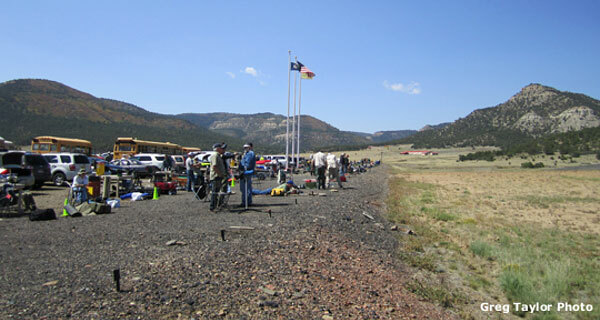 Share the post "Black Powder Target Rifle Championship Next Week in Raton, NM"
Are you a died-in-the-wool .50 BMG fan? 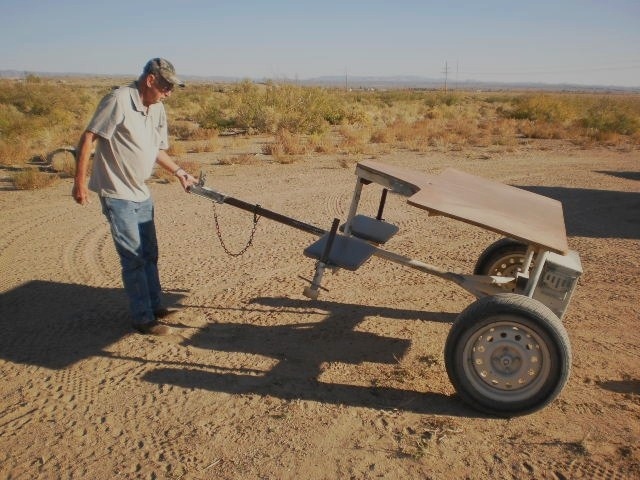 Got a hankerin’ for heavy artillery? Then visit the FCSA Photo Gallery page. 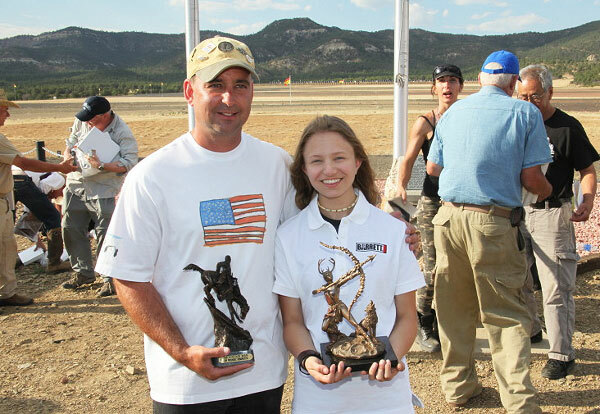 There you’ll find hundreds of photos from Fifty Caliber Shooting Association (FCSA) matches and fun shoots in California, Nevada, New Mexico, and Washington. To access the photos from the Gallery Page, click on the colored tabs which indicate match location and date (such as NV2011-08). Photo sets go all the way back to 2002, so you can see the evolution of the hardware over the years. Sample multiple archives to see the differences in terrain from one range to another — from Raton’s alpine setting to the hot, dry Nevada desert. 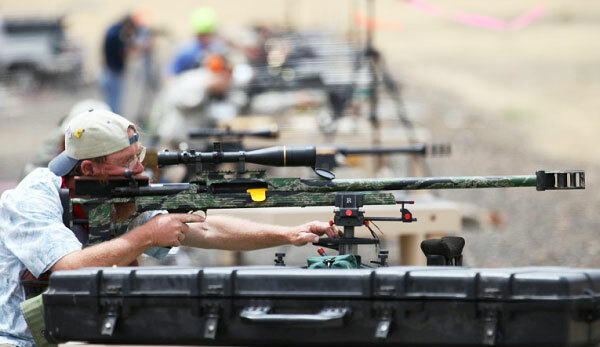 This Gallery is really a treasure-trove of .50-Cal history. It’s worth a visit. 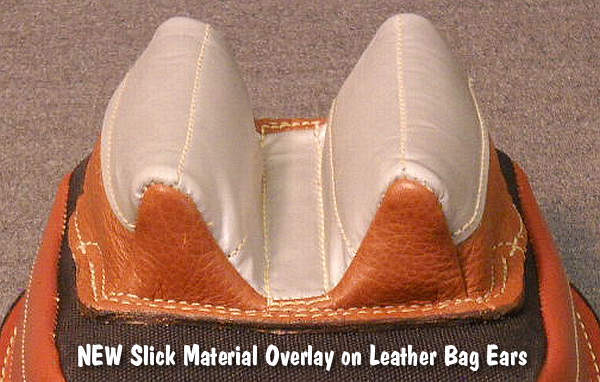 Here are a few sample images. 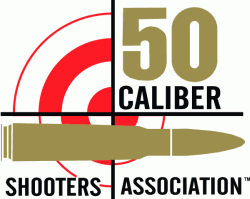 Share the post ".50 Caliber Shooters Association Photo Galleries Unveiled"
The 2012 F-Class Nationals have concluded and the event was a great success. 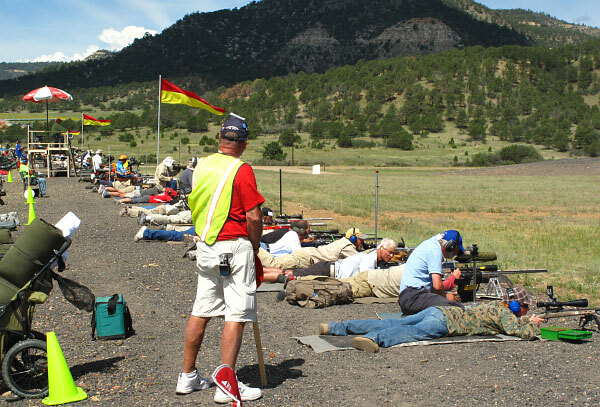 Nearly 200 shooters competed at Raton this year. 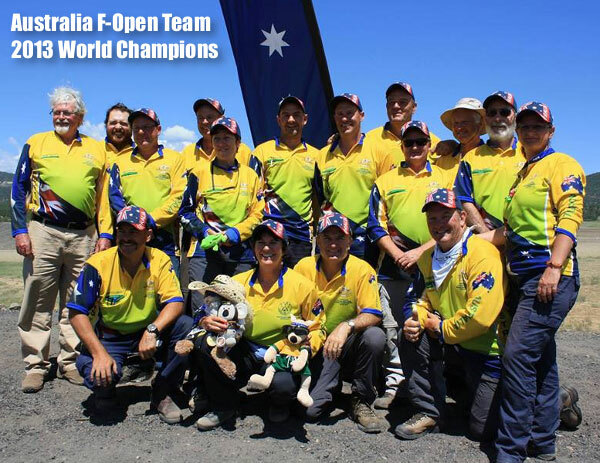 Congrats to the new F-Class National Champions: David Bailey (F-Open) and James Crofts (F-TR). 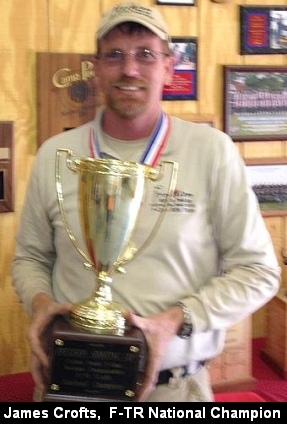 Bailey amassed a 1283-59X score to edge F-Open runner-up Bob Sebold (1282-59X) by a single point. Note that Jim and Bob, both AccurateShooter Forum members, had the same X-count. Bob’s excellent X-count placed him ahead of Jim Murphy (1282-50X), who captured third place along with F-Open High Senior Title. 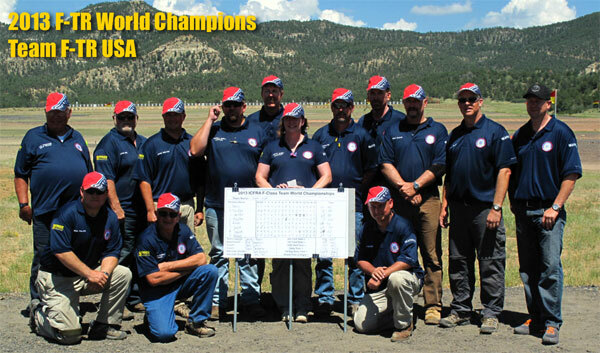 High Lady Shooter was Michelle Gallagher with a 1274-51, while Danny Biggs, a past National Champion, was High Senior with 1273-46X. 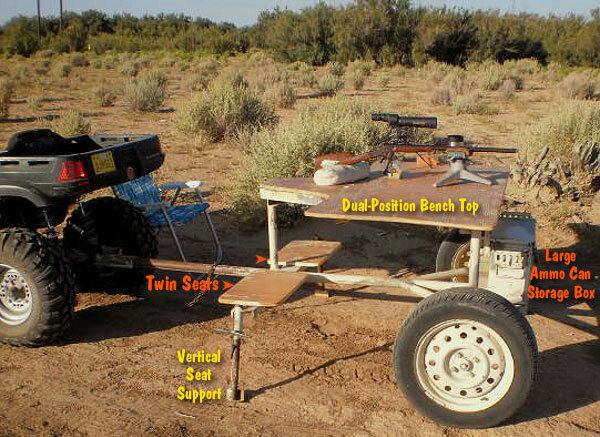 Forum member James (‘Jim’) Crofts took the F-TR crown with a truly dominating performance. Jim’s 1272-47X was a full six points and 11 Xs ahead of runner-up (and 2011 champ) Jeff Rorer, who finished with 1266-36X. In third-place overall, was High Senior Daniel Pohlable (1264-42X). 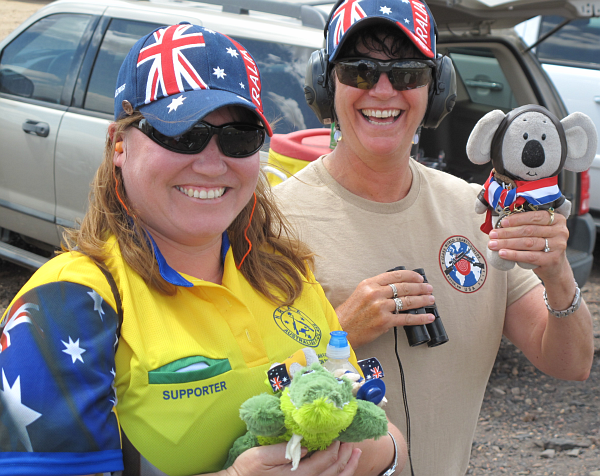 In fourth overall, was the High Lady shooter Trudie Fay (1259-45X). 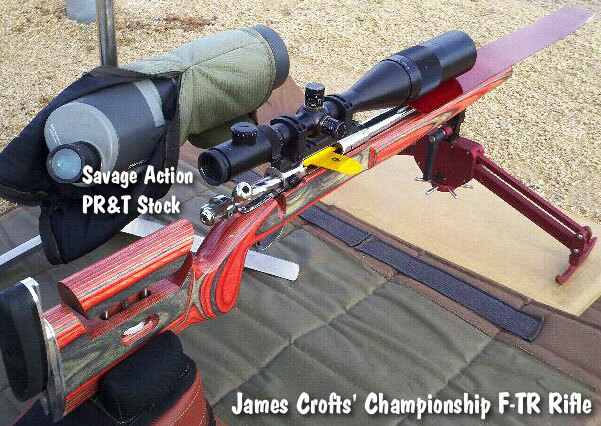 Jim Crofts really deserves praise for his marksmanship at Raton. 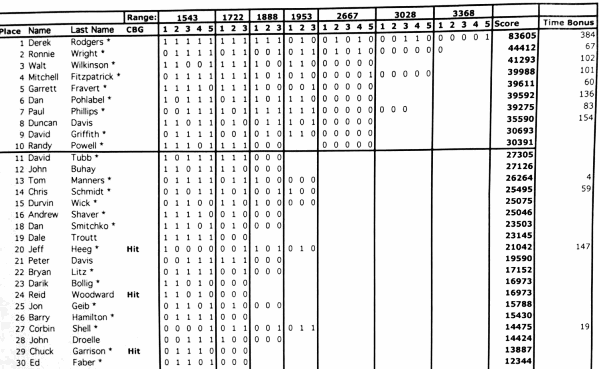 Jim’s F-TR Score of 1272-47X would have ranked him 13th in the F-Open division, ahead of dozens of skilled shooters running ballistically-superior cartridges. 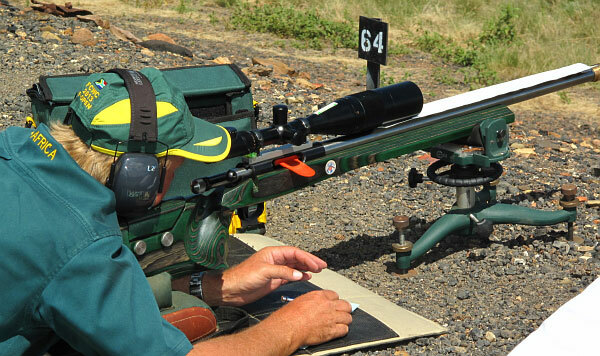 In his .308 Win, Jim ran Berger 200gr Match Hybrids at 2600 fps with Hodgdon Varget. 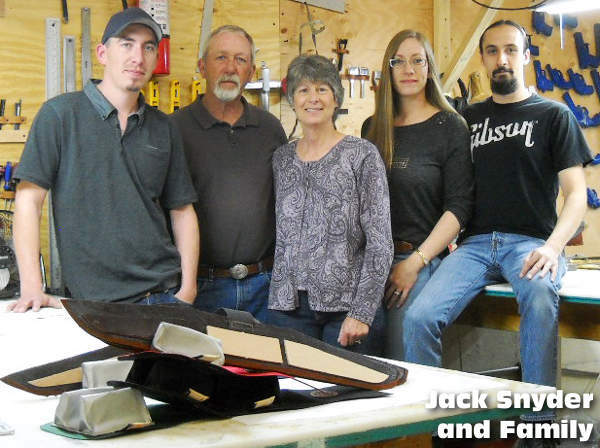 Jim’s winning F-TR rifle featured a 30″ Brux barrel and Precision Rifle & Tool (PR&T) stock. And take note — Jim’s barrel had over 3000 rounds though it by the end of the match. 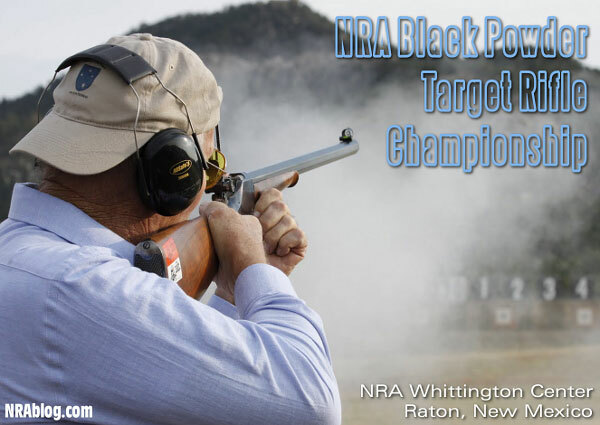 Jim wants to thank Ray Bowman at PR&T for smithing a great rifle and providing sponsorship. We had a chance to talk to Jim by telephone this morning, and he was kind enough to answer a few questions for us…. AccurateShooter: Is this your first big win? How did you feel receiving the trophy as National F-TR Champion? Jim: I won the Berger SW Nationals earlier this year, but this is my first-ever National Championship. 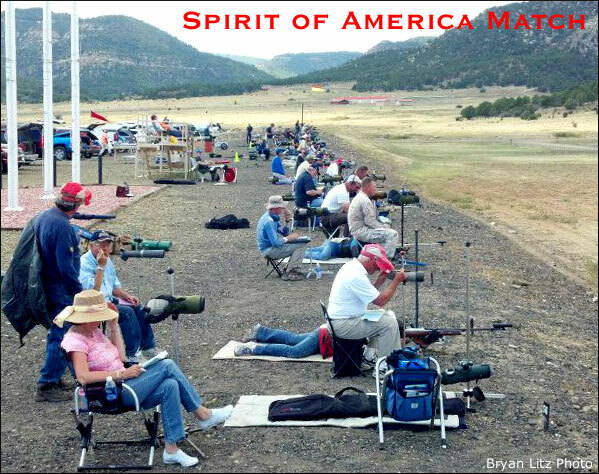 I was very relieved once it was over because there were many great shooters right behind me. 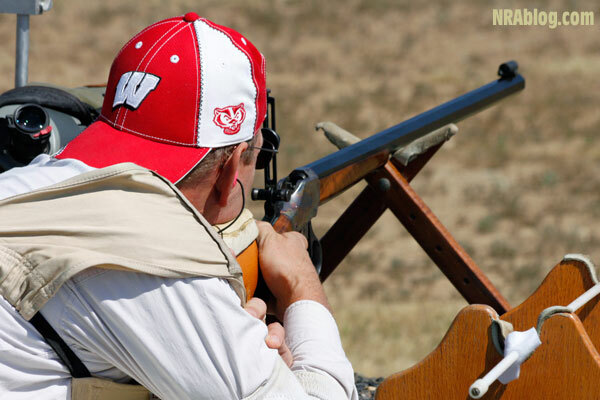 AccurateShooter: Did you run any new hardware at the Nationals? 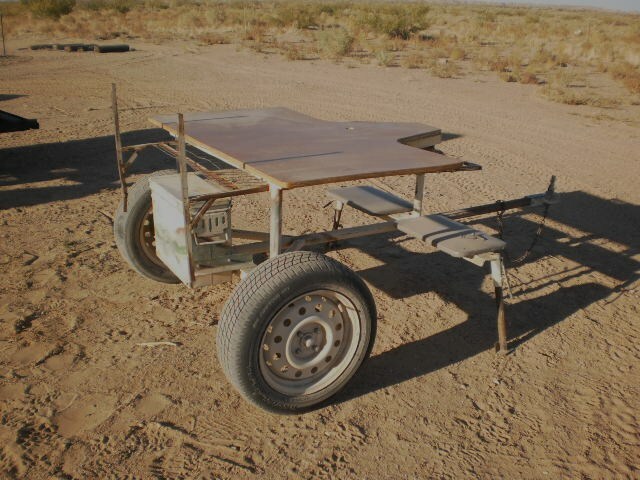 Did you alter your load any? Jim: This is the same combination that I’ve used all year long. I went back to my old faithful PR&T-built rifle and my old faithful load and everything works. I still anneal my cases every firing. 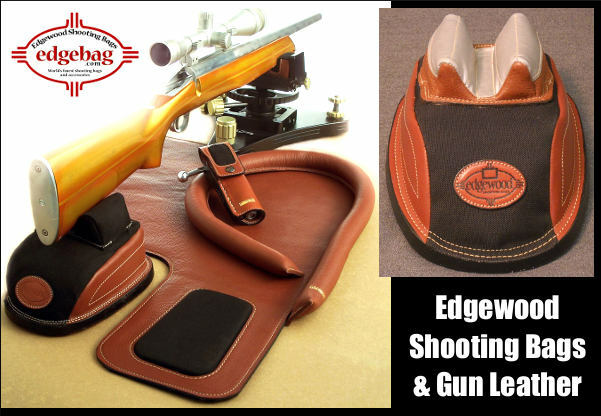 You will find this helps maintain consistent bullet seating and it helps lower your extreme spread. 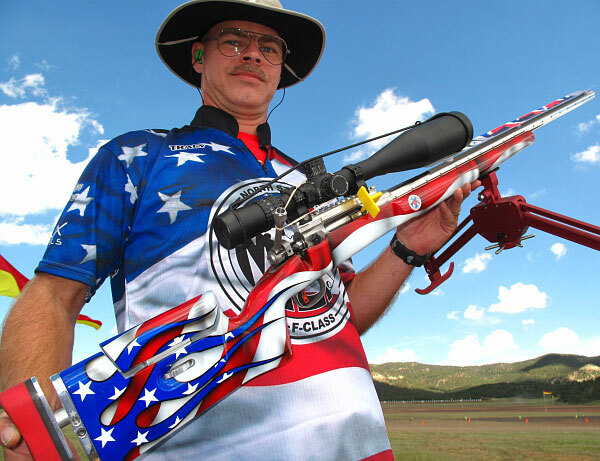 AccurateShooter: Shooters from your neck of the woods have now won the F-TR division two years running — Whats the secret? 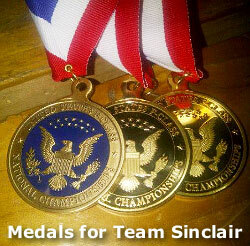 Yes, with my win we’ve had back to back F-TR National championships for North State X-Men club members. 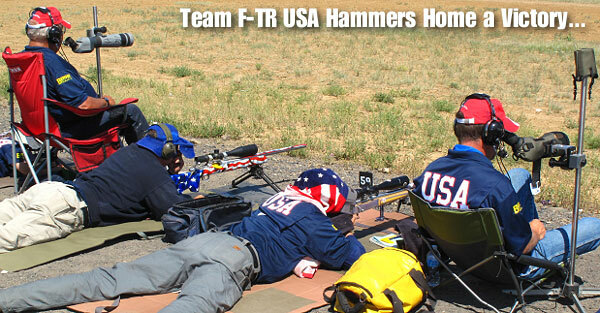 Jeff Rorer, last year’s F-TR champ [and 2012 runner-up] shoots with us at a local level. That’s who I’ve been chasing since last year’s National Championship. When you shoot against quality competition every week, it makes you strive for perfection. Jim: Actually, conditions were moderate most of the week. However, on the last day, it was calm during the first match, but in the second match it got to be very tricky. There were changes in velocity and angles — I had a hard time keeping up with the velocity changes in the last match. 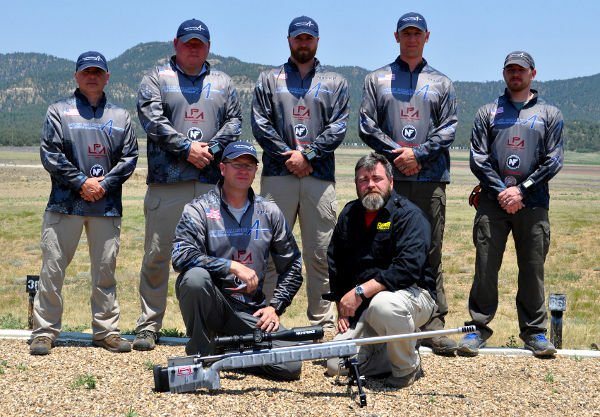 AccurateShooter: How has the FTR game changed in the last couple years? Is it more competitive than ever before? Jim: The sport is growing and it’s getting tougher, that’s for sure. This year we had 91 competitors in F-TR. It went up from about 60 last year to 91 this year — a 50% increase. And the competition is really getting tight in F-TR. 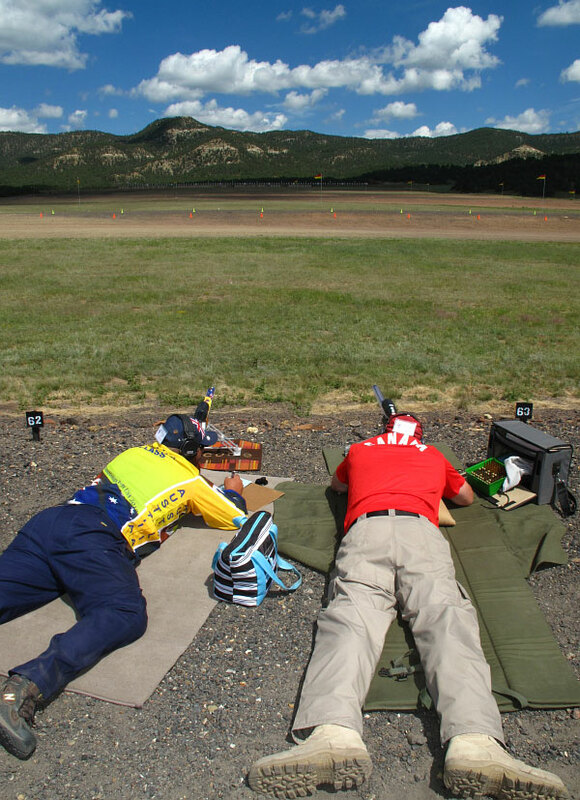 Not only are the numbers of shooters growing, but the quality of the competition is getting higher every year. 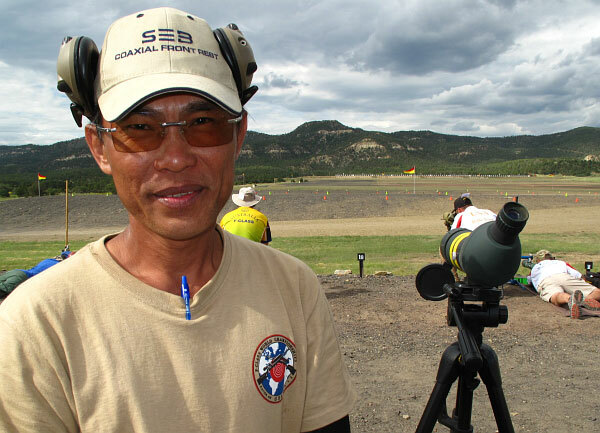 Also at the F-Class Nationals this year, some Eliseo Tubeguns made an appearance. 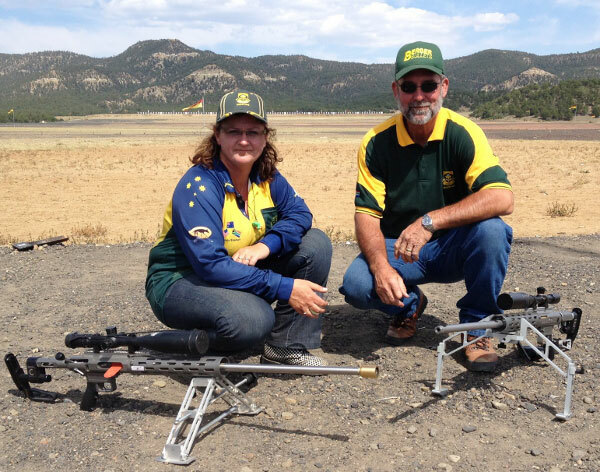 Shown below are Linda Shehan (Team Australia) and Warren Dean (Team USA) with their GC-1 FTR rigs at the nationals. These tubeguns feature actions by Rod Shehan, with an Adam Davies bipod on the left, and Sinclair F-Class bipod on the right. 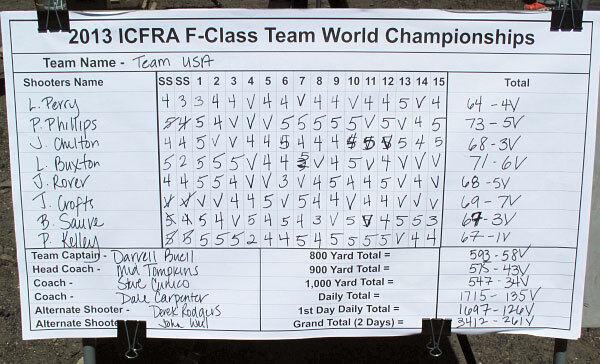 Share the post "David Bailey and James Crofts Win 2012 F-Class Nationals"